Trio of dealers charged with cheating at table games at Parq Vancouver Casino. Cheating at the casino – it’s something that’s been going on since the dawn of gambling-kind. 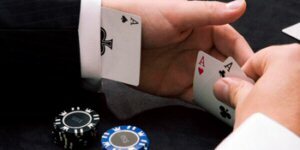 Prior to strict regulation, reporting and monitoring, some casinos were notoriously suspected of rigging certain games. Duplicitous players have been known to try everything from the infamous card-up-the-sleeve trick, to using sophisticated computer programs that coax slot machines into paying out a jackpot. Such things don’t happen nearly so often these days, mostly because authoritative bodies and security technologies are much smarter than the criminals who might try to defraud one system or another. And yet, despite the great risk of being caught, casino fraud does still happen, as we learned when it was revealed why three former table games dealers at British Columbia’s Parq Vancouver Casino were fired from their positions last year. There isn’t a great deal of information available on the cheating scandal that took place at the Vancouver gambling resort. In fact, no details at all were available until CTV News utilized the British Columbia Freedom of Information Act to obtain documents regarding the dismissal of those three employees. And even that information was vague. CTV News learned – and MSN reported – that the three former live table dealers were “charged by police” with “collusion”; the act of two or more people working together to gain an unfair advantage. The report indicates that the former employees provided players with casino chips valued at $37,000, $40,000, and $43,000, even though those players were “not entitled” to receive those chips. The documents described the charges as “cheating at play”, but went into no further details. Parq Casino isn’t talking, except to deliver the generic statement that they won’t comment on employee matters. They offered only an affirmation that the company “takes compliance seriously”. Ed Rampone, former Director of Casino Operations for the BC Gaming Policy & Enforcement Branch (GPEB), was more willing to speculate. The employees involved in both of those incidents were also fired. But not all of the casino firings were for suspicion of cheating at table games. At Chances Casino Kelowna, an employee was discharged for stealing cigarettes and a lighter from a co-worker. In another incident, an employee was not exactly fired, but “de-registered”, after stealing two chocolate candy bars from the concession stand at Lake City Casino in Penticton.